It's Easy Breezy! Casual and Fun! You're Spreading An Awesome Message Too! Wear It With Yoga Pants, Jeans or a Comfy Pair of Sweats! It Comes In Four Colors So It's Sure To Compliment Your Wardrobe Collection! It's Made of a Poly Cotton Blend, And Has An Asymmetrical Zipper and Pockets Too! If You Want That Extra Something To Run Around Town In Or Just Around The House This Is It! If You Need A Great Gift For You or Someone You Love....OR Like A Lot! 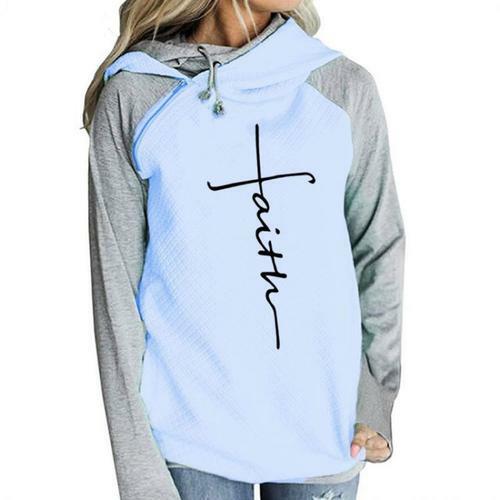 Get Our Feeling Phenomenal Faith Hoodie! What An Amazing Way To Show How You Are with Our Feeling Phenomenal Faith Hoodie!